On February 6th, Cineworld are hosting another Unlimited Secret Screening. The idea is that members of their Unlimited Club go to the movie having no idea what they will be shown. There are very few clues (if any) other than the fact the movie will be one due to be released and that the Secret Screening is your chance to see it before anyone else. The last time Cineworld did this was right before Star Wars: The Force Awakens and it caused quite the furore, particularly when the move turned out to be (the excellent) In The Heart of the Sea. This time is a lot less controversial but no less exciting as I give you my suggestions for what I believe the movie will be. It won’t be this! I would love it to be this and it would be incredible if it was the off-the-wall superhero movie but there are a couple of reasons why it won’t be. First of all this movie is too cool to be a Secret Screening. It won’t be something this hyped and popular. Second of all, this film is only being released on the 10th of February anyway. You’d want to know you’d seen the film at least a week in advance rather than a measly four days. This is a more feasible contender. It could well be this movie because it isn’t necessarily going to be that popular, it has enough star power to be a draw (Gerard Butler) and is the perfect kind of movie to show people who may not have initially wanted to see it… because it looks quite poor. The reason it may not be this is because the Secret Screening is 2D this time and Gods of Egypt is pushing hard on the 3D. It may be the movies most discernible feature. Another possible for the same reasons as Gods of Egypt. This film has a lot of big names in it, from Kate Winslet to Casey Affleck and Woody Harrelson but isn’t a huge, Hollywood blockbuster. It looks good too, being more of a dramatic thriller than a explosion, testosterone-fuelled trip. It could be a sleeping contender… had it not been for the last, almost definite choice. This is the one. It is this movie. I should have retitled the post “Why Grimsby is the Cineworld Secret Screening Movie.” This film is British so it is easier to get before general release, it is a r-rated comedy, a 15 in the UK, which was one of the only other clues that Cineworld gave, and it isn’t particularly popular enough to take away from the interest Cineworld would lose elsewhere. It is Grimsby. Overall, I would love the Secret Screening to be Deadpool, wouldn’t mind if it was Triple 9 and could sit through Gods of Egypt (I doubt my wife could though). Unfortunately, it will be Grimsby and I’m not that interested in the film. At the moment it looks more Ali G than Borat although I could be wrong and that is sort of the magic of the Secret Screening anyway. The only “clues” I found were that it was a 15 (at least). The rest I’ve guessed from the release dates and past experience. Another clue what you might of missed is that the run time is 120 minutes. It says on the screening page. I’m wondering if that is a generic red herring? There is an Unlimited Official screening of that a few days later so I doubt it. Pride and Prejudice & Zombies is the unlimited screening the day after so it won’t be that. I would also love it to be Deadpool but I saw a tweet they sent to someone who was contemplating booking the midnight screening and they told him it wasn’t going to be Deadpool. I think you’re probably right, I wouldn’t mind it being Triple 9 though. Then again, the run time for the unlimited screening says 120 mins. Grimsby is 82, Triple 9 is 115 and Gods of Egypt is 100. I have no idea then? People have also guessed Concussion as well but I think that runs short. Isn’t 120 minutes maybe a generic run time? That’s a 12A so probably not. I saw that but it doesn’t help. That doesn’t really hint at any of the films coming soon. I’m sure that’s the generic description for most secret screenings, but who knows, it would be awesome if it were Deadpool. Oh, I really hope not! Still think 120 is very generic a time. According to Google “London has Fallen” is 1h 40m…. thats 100mins. I think Adam Green is right. 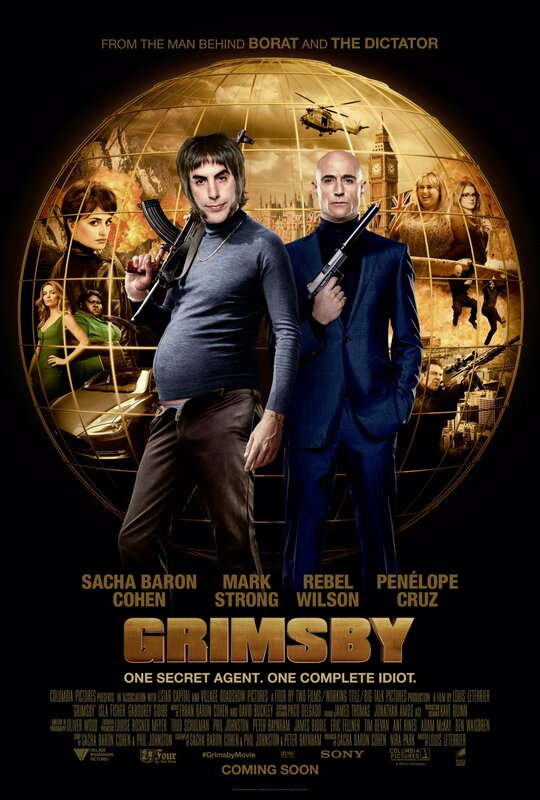 Grimsby is about a long lost brother becoming his spy brothers side kick…..
Sidekick makes you think superhero though and it says “fly-in.” We could be guilty of over-analysing it. I’m pretty sure that the 120 mins is just a generic time. I’m hoping it’s Deadpool as well but like you I think it’s probably going to be Grimsby, which is disappointing as the trailers haven’t done anything to spark my interest. Me either. It doesn’t look great and it’s made worse because it could be Deadpool. I would be happy with either of those as long as it’s not Grimsby. I wish it would be Deadpool. Doubt it. When they showed the Ron Howard whaling film and some people convinced themselves it would be Star Wars, they DID list the runtime. It wasn’t a placeholder of 120 minutes. The only film I’ve been able to find that is a 15 and 120 minutes was just reviewed on Film 2016. ‘A Bigger Splash’ with Tilda Swinton, Ralph Fiennes etc etc. Could well be that. I hope not. That movie looks poor. I guess that is the gamble though. Don’t think the running time would be generic. When In the Heart of the Sea was the the surprise Unlimited film, Cineworld’s description of the length of their film was exactly the same length of ITHOTS. I would go for A Bigger Splash or Triple 9 although they are both a few minutes out. There doesn’t seem to be a movie which fits, that is why it seems like a rough running time. Maybe because so many people guessed at The Heart of the Sea, they are being slightly coy this time. I’ve given up guessing. Is it on purpose that the certificate now says TBC??? Unless it’s Grimsby. Running time aside, Grimsby doesn’t have a certificate on IMDB. The only major release I’ve found that I can’t find a rating for. Gulp! In this original article it says that it won’t be Deadpool because it is out a week later but the second secret screening was planet of the apes which was out 2 days later and I’m sure it also had an unlimited screening of it the following day. Also a lot of people saying it will be Grimsby as its British and is easier to secure etc, none of the other unlimited screenings have been British and going back to planet of the apes, that was also a pretty big blockbuster. Maybe that is why people want to see it. People love Spiderman! The 2 hours is not a bluff, I asked Cineworld Manager as being collected from cinema, and I don’t think Grimsby is 2 hours long. It 100% is 2 hours, so really it is a case of which film you aren’t thinking of is 2hrs long? If you wanted to be picky and say the cineworld manager was covering for 5 minutes delay or something like that you could go with Triple 9, but I told him I had to know exactly bcos I was been collected, and he said “the film is 2 hours long” so at least you can eliminate anything that is nowhere near that long/short. I’ve just seen one that is on the ‘releasing soon’ list on IMDB, and one that you haven’t considered and could be a contender – Point Break. its most defiantly Triple 9, look at the website of the secret screen runtime now, it has changed from 120minutes to 116minutes, as i’ve had a look at triple 9 and that is 116minutes as well. 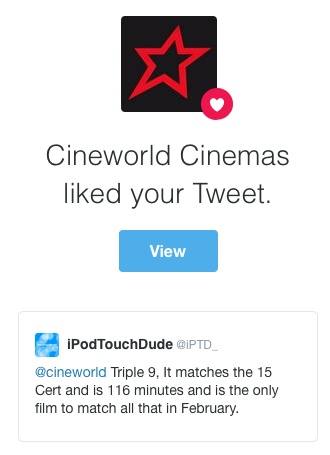 Cineworld twitter liked my tweet. 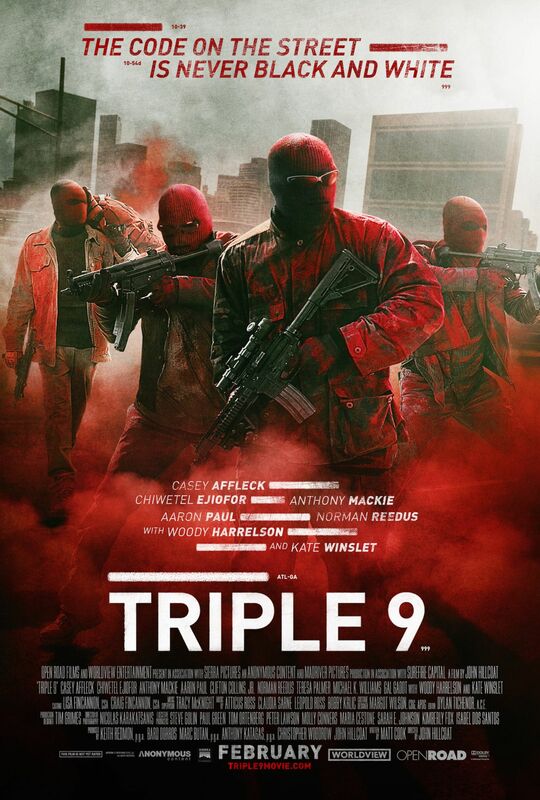 “@cineworld Triple 9, It matches the 15 Cert and is 116 minutes and is the only film to match all that in February.” http://i.imgur.com/54QqHB0.png So I think they kinda confirmed it without letting everyone know. You won’t have been disappointed then! That is shocking! Why on earth did they do that? I really enjoyed it too.